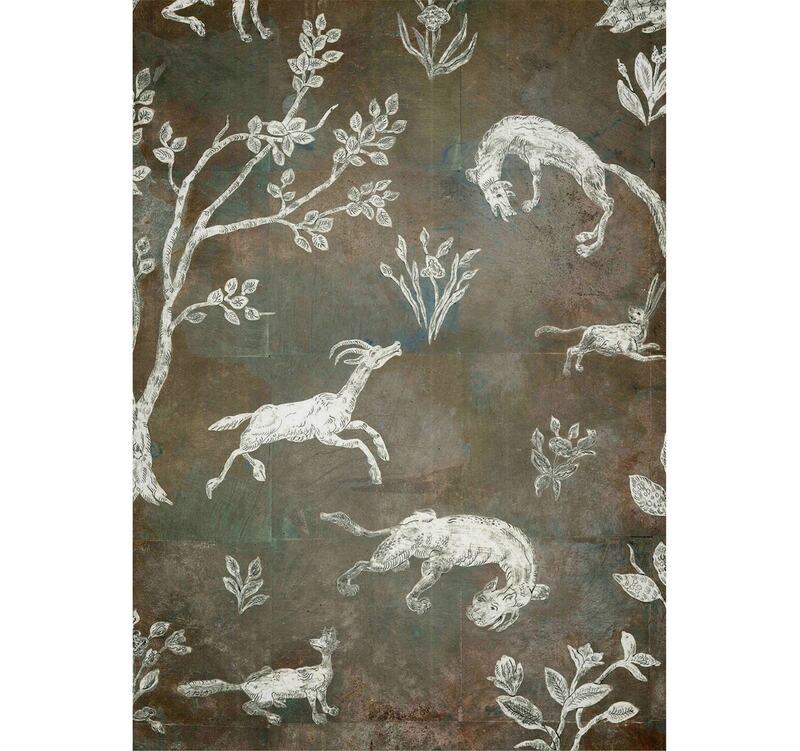 Like a mystical scene plucked from the pages of a classic children’s book, our Églomisé and Antique Mirror bespoke surface depicts a forest alive with wildlife. 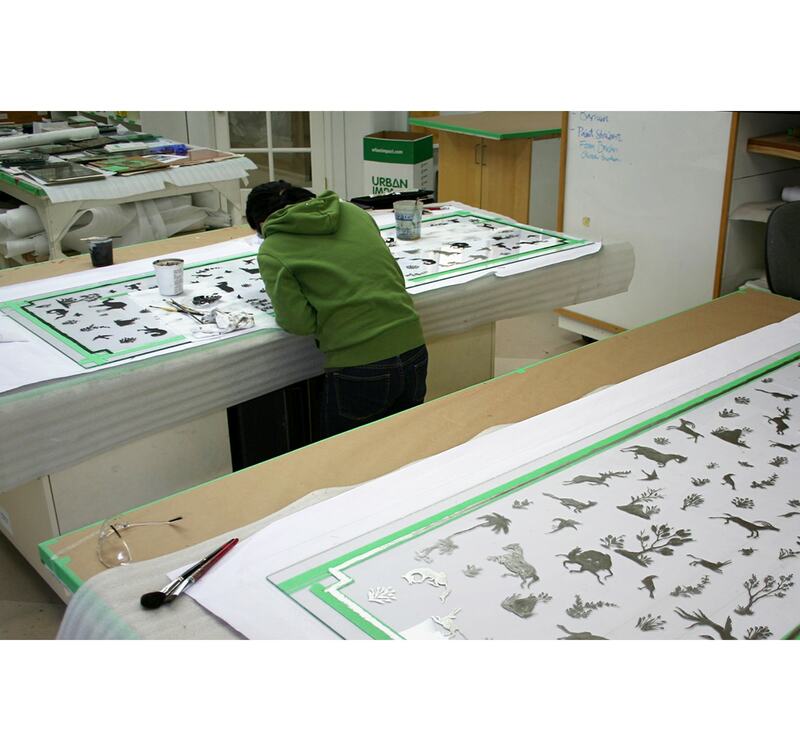 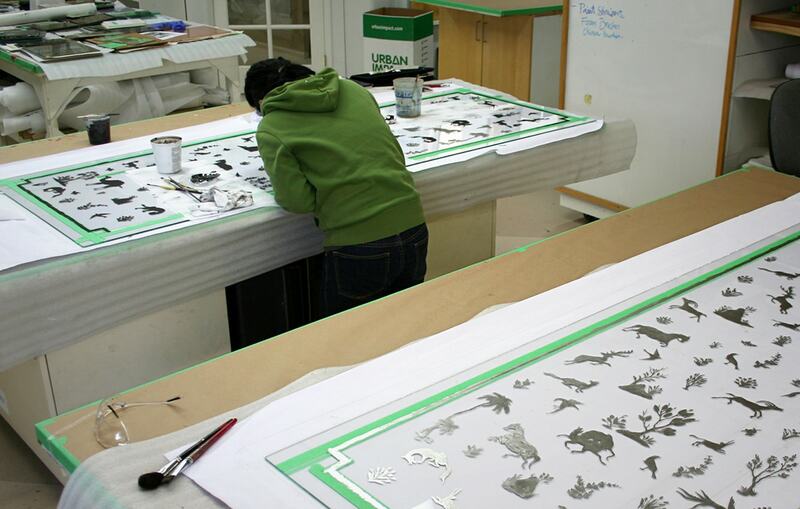 Each panel is handmade using the traditional Italian Sgraffito technique in palladium leaf onto tempered glass– hares, rabbits and foxes frolic in this unique Persian inspired design by Gorman Studios, a team of artists and craftspeople based in Vancouver. 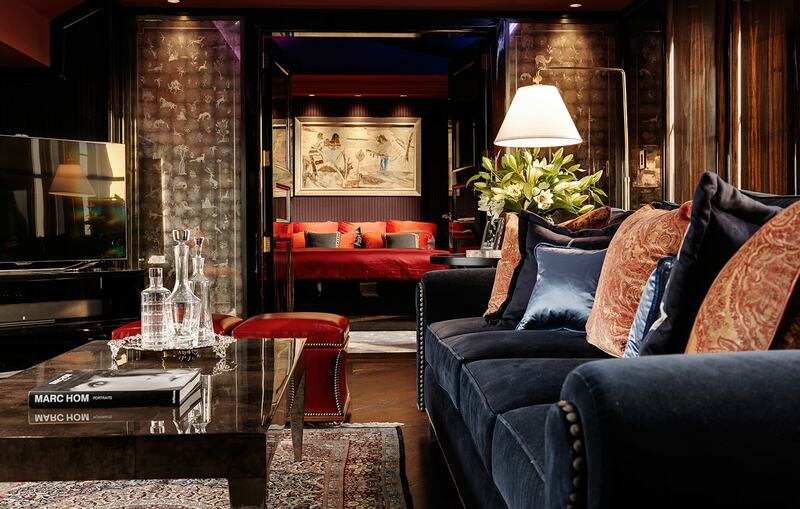 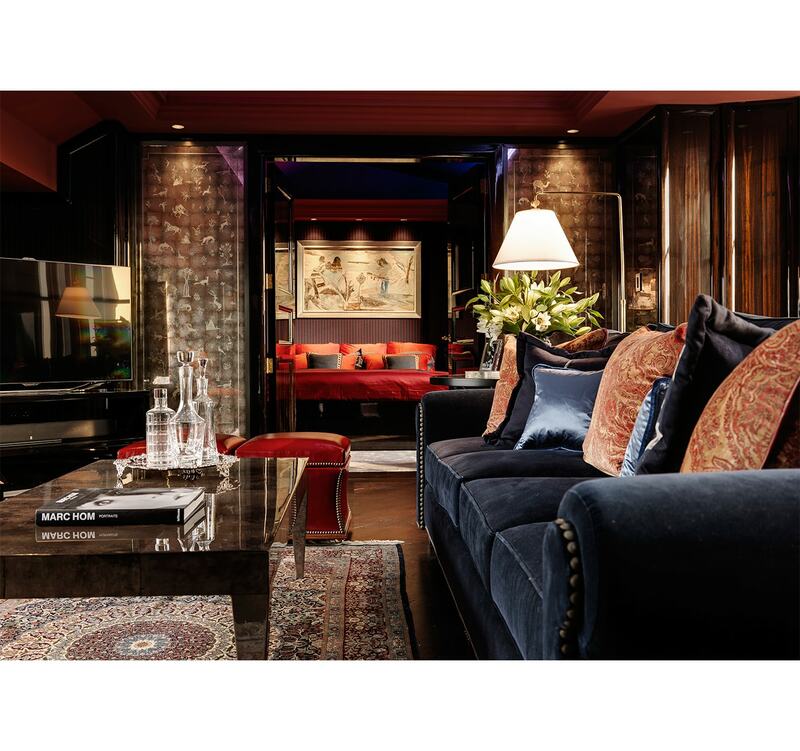 Project by Oro Bianco Interior Design.